Watch the taping of The General & The Ambassador podcast led by Ambassador (ret.) Deborah McCarthy in conversation with LTG Sean McFarland, USA (ret.) and Ambassador (ret.) Stuart Jones. 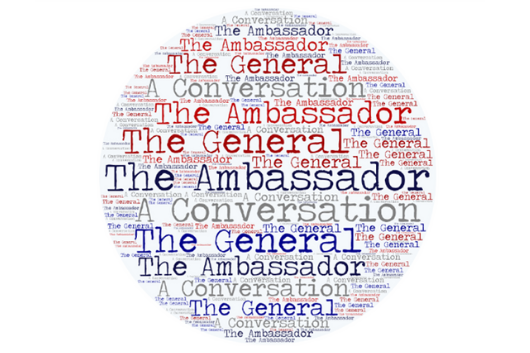 The General and the Ambassador series aims to explain to audiences how our top military leaders and our top diplomats work in partnership not only in the field, but also in senior decision making circles, in public affairs and with Congress. In this episode, LTG Sean McFarland and Ambassador Stuart Jones will discuss their civil-military experiences in Iraq.